Kohei Hattori is a singer from Tokyo, Japan. He is an Apollo winner as well as a finalist in McDonald's GospelFest in 2016 and 2017. Kohei has also been featured on the Steve Harvey Show on Fox, and has appeared on M-On TV with Japanese Recording Artist The RAMPAGE. 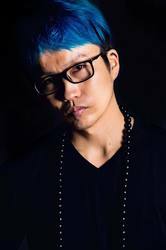 Kohei has also hosted events at Diamondz N Da Ruff, Gloria Carter's (Jay-Z's mother) Newark, NJ cafe and opened shows for Wu Tang Clan (Raekwon), Lil Mama, Lyfe Jennings, and Case.